Snapper is a popular fish among anglers both as game fish and food. Yet, the latter demands a lot from you to have an amazing meal. While it’s great to go out for dinner and have some delicious snapper, preparing a decent snapper meal at home can be so much rewarding. Whether you’ll be doing it for your family or friends, there’s just something special about it. Let's me talk you about the secret of best snapper recipes! There are several ways you can prepare snapper and they all result to a different taste. We’ve compiled the best snapper recipes that will arouse the enthusiasm of your taste buds. Some are simpler than others while some may take longer than others to prepare. The good news is all of them have ingredients that you can easily find in your local grocery store. 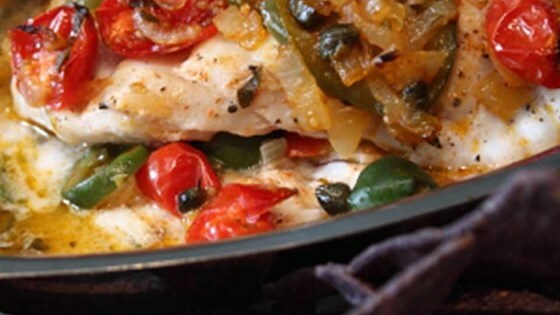 This red snapper recipe is one of the most popular out there. What makes it stand out is that you have many options when dealing with it plus it’s relatively healthy. Most Verecruz-Styles recipes ask for pickled jalapenos but those that don’t like the excess acidity from the lime and tomatoes opt for fresh pepper. You also need to simmer it down a little spice levels if you’ll have kids on your dining table. Preheat oven to 220 degrees Celsius. Heat olive oil in a frying pan over moderate heat. Put the onions and stir for about 6-7 minutes. Stir in garlic and cook for about 30 seconds. Stir in capers and caper juice. Add tomatoes, jalapeno pepper and olives. Cook and stir until the tomatoes start to collapse and the jalapeno pepper softens, about 3 minutes. Remove the pan from heat and add stir in oregano. Sprinkle 1 tsp olive oil a small baking bowl. Add in 1 tbsp of the tomato-olive concoction. Put 1 snapper fillet on top, black pepper, cayenne pepper and salt. Top with 1 lime juice. Repeat this process with the other fillet in another baking dish plus seasoning. Bake in the preheated oven until the fish becomes flaky, about 15-20 minutes. It turns out to be the quickest to make. You can have the pan-seared snapper ready to eat roughly in 20 minutes, preparation and cooking time involved. Rinse the snapper under cold running water and pat dry. Take olive oil, rice vinegar, lemon juice, honey, mustard, ground ginger and onions and mix together in a shallow dish. Heat an oven over medium heat. Sink the snapper fillets in marinade to coat both sides and place inside the oven. Cook each side for about 2-3 minutes. Sprinkle the remaining marinade into the oven. Minimize heat and simmer until the fillets are flaky, about 3 minutes. 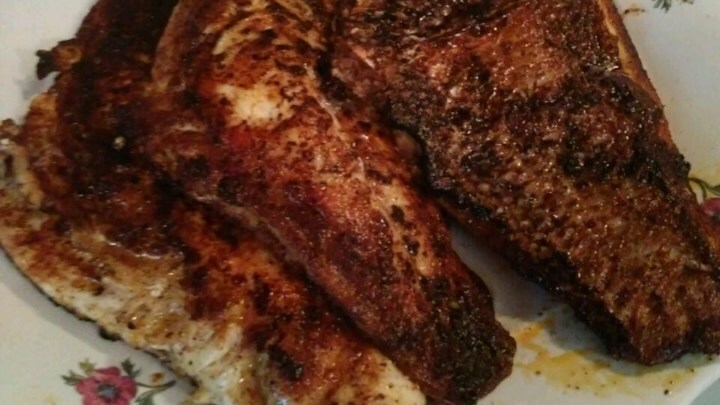 Snapper with Cajun spice is one you should not miss. 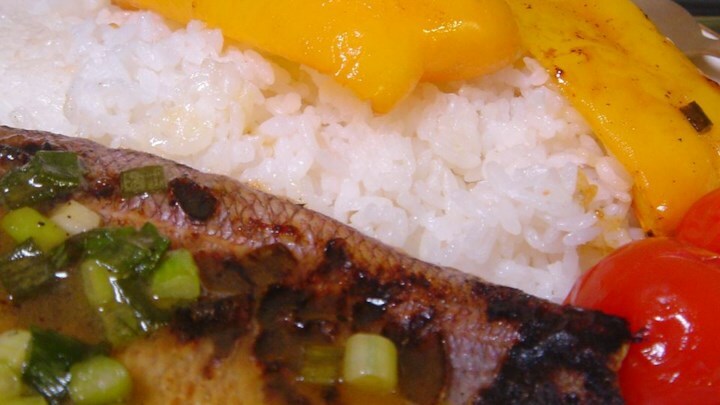 This recipe is appealing to those who like fresh fish with some spice. It’s also ideal to those who don’t like the fish taste. On a large piece of wax paper, mix together garlic powder, black pepper, cayenne pepper, onion powder, basil, thyme, paprika and oregano. Melt butter with oil in a small saucepan over moderate heat. Apply the butter mixture to both sides of the snapper fillets and reserve the remaining. Cover both sides of the fillets with the seasoning mixture. Heat a cast-iron oven over high heat. Sprinkle half of the reserved butter-oil mixture on one side of each fillet. Place the fillets in the pan with the butter sides down. Cook over high heat until the fillets turn deep brown, about 5 minutes. Sprinkle the remaining butter mixture over the fillets and flip the fillets over. Cook until the fillets are browned and flake, about extra 5 minutes. Add salt to taste. This is another easy-to-prepare meal which is also a family favorite. The stat has it that preparation takes 9 minutes while cooking time is 13 minutes. Just don’t overcook the fish because the quality relies on it. Preheat iron skillet over high heat. Cut lemon into small 8 slices. Spray a baking sheet with cooking spray and place the slices on it in pairs. Grind the remaining lemon to get 1 tsp lemon and reserve it. Place each fillet on top 1 pair of lemon slices. Combine in a small bowl peppers, garlic powder, onion powder, thyme and salt and sprinkle the mixture evenly over the fillets. Bake over high heat until the fish flakes when tested with a fork, about 13 minutes. In a small bowl, combine the reserved lemon, herbs and butter while the fish bakes. Place the baked fish on individual plates and top each fillet with herbed butter, spreading it evenly. Grilling is a favorite way to cook red snapper for those who don’t like soup. Plus you have two options; stuff the fish with seafood filling and vegetables or keep it simple by spooning the stuffing on top of each fillet. Whichever way you choose, you’ll have a mouthwatering dish. In a covered grill, preheat coals to high heat. Make the stuffing; melt 2 tbsp butter in an oven. Add the bread crumbs, sauté and stir the mixture slightly over medium heat till browning the bread crumbs. Remove the bread crumbs into a separate bowl. Melt 1 tbsp butter in an oven and sauté the onions, garlic and celery until they’re soft. Add the mixture to the bread crumbs in the separate bowl. Stir in crab, shrimp, parsley, pepper and salt. Toss gently, if desired. Cut foil into a double thickness rectangle and place the fillets on the foil. Pile up the stuffing on top of the fish fillets. Position the preheated coals at either side of the grill. Place the fish in foil in the middle of the grill rack. Grill until the fish flakes easily, about 25 minutes. We hope our recipes will be a game changer in your cooking habit. Feel free to try out the different recipes and you’ll find out your most favorite. Let us know your success stories and any great recipe you’ll love to share. Keep fishing and enjoy cooking.